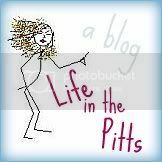 Life in the Pitts: Good news! You are always welcome to take over my follow box. Your posts are fun to read.